Nikon - The First choice of small format cameras for many top professional photographers for over five decades! 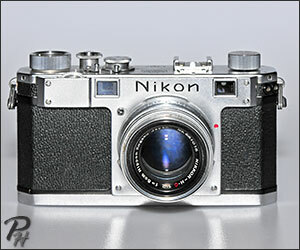 This website is dedicated to the superb Nikon corporation camera equipment produced over the decades. It is important to remember that Nikon is, and always has been, primarily an optical company, the cameras that we associate with the Nikon brand are effectively a support structure for some of the finest lenses ever produced. For various reasons many names have been used by Nikon, sometimes to designate product type ranges like Nikon for camera bodies and Nikkor for lenses. Other names used by the company include Nikkormat, Nikomat, Nikkorex and Nikonos for their unique and superb underwater 35mm film cameras. In July 1917 three independent Japanese optical companies merged into "Japan Optical Industries Co. Ltd" (Nippon Kogaku Kogyo Kabushikigaisha), they have made optics for use in all areas of industry including lenses for Canon's 35mm cameras from 1936 and Bronica's early medium format cameras from 1959. During WW2 the company was required to turn it's focus towards it's countries wartime requirements, this lead to an increase in company size and an increased instrument making capability. When WW2 ended Nikon had to revert back to non military production, a decision was made to create it's own cameras, effectively giving the company it's own dedicated end consumer base rather than relying on supplying other companies with optics. "Nikon Corporation" only became the companies official name in 1988 and it is now part of the Mitsubishi Group. Nikons first camera, the Nikon I, was a 35mm Professional Rangefinder and it went on sale in 1948, it had the Leica Rangefinder camera's general layout and features but was by no means a clone. The rangefinder camera range was improved over the following twelve years until it was replaced by the famous 1959 Nikon F SLR, this was effectively an SLR version of their late rangefinder cameras. The legendary performance and reliability of the Nikon F combined with the true versatility of a system camera made the Nikon F the choice of professional photo journalists world wide replacing the legendary Leica M, and also NASA's choice of 35mm camera for the 1971 Apollo 15 moon landing. High speed 4fps motor-drives and bulk backs able to take 250 pictures without changing films resulted in the Nikon F being highly suitable for high speed one off events like a moon rocket taking off, no other 35mm SLR could compete, a true system camera, it could be quickly be re-configured to meet the photographers requirements. Amateur photographers always aspire to professional equipment, so by introducing a cheaper range of high quality 35mm SLR cameras that still utilised the Nikkor lens system, Nikon were able to gain significant success with the less versatile, but cheaper, Nikkormat range of camera bodies. By constantly improving the design and capability of the Nikon F's Photomic light metering head the camera remained in production until 1972 by which time the Nikon F2 had become the professionals first choice of 35mm camera. The truly superb 1971 Nikon F2 camera is thought by many to be the best 35mm mechanical shuttered SLR ever produced, when production ceased in 1980 in favour of the Nikon F3, over 80% of the worlds photojournalists were using the camera, many of the remainder still used the original "F" with the Photomic FTn viewfinder head. The Nikon F2 did every thing a Nikon F could do but was even more reliable and slightly smaller with higher shutter speeds and flash synchronisation speed. Over the ten years of Nikon F2 production five different light metering viewfinder heads were produced, they evolved from CdS metering sensors to silicon photo diodes, and the use of moving coil meters evolved into LED indicators. The introduction of the Nikon F3 in 1980 lead to many Professional photographers holding on too their trusty Nikon F2's as if their lives depended on it, indeed many thought their jobs really did! What was the problem? It was the F3's use of a quartz timed electronic shutter. The Nikon F2 had only required a battery to power it's light meter, the new F3 had an electronic shutter and if the battery went dead "in field", it had only a 1/60 mechanical shutter speed as a back up. The fears about the battery dependency were valid but the resolution was very simple, take ample spares for the task in hand! After a somewhat shaky start the F3 proved an amazing success remaining in production for twenty one years, overlapping it's would be replacement's production, the Auto focus Nikon F4, by three years! The Nikon F4 was a true milestone in Nikon's history, it was the first AF 35mm camera produced for professional photographers and also had a built in motor drive, another first for Nikon. 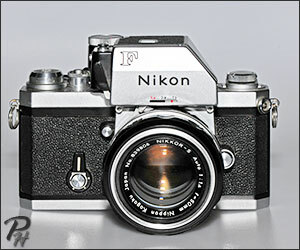 The Nikon F4 represented a major change for photographers, although it boasted the widest lens compatibility of any Nikon camera before or since, it required a totally new lens range it's AF capability to be used to full advantage, although the TC16a adaptor alowed limited AF assist on many existing Manual Focus lenses. 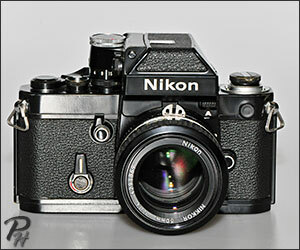 Although the Nikon F4 had a built in motor-drive, it's frame rate could be increased by changing to a higher voltage battery pack, cameras fitted with these were designated the F4s and F4e. 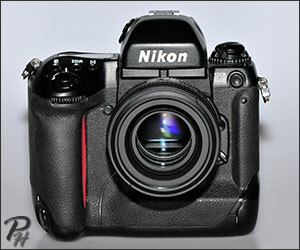 The Nikon F4e variant could also be used with a Bulk Film Back or Control Back. 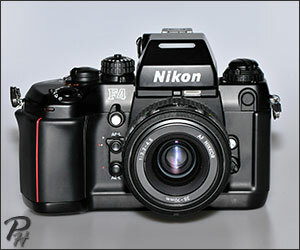 The Nikon F5 was introduced in 1988, it was in many respects an updated F4 with improved AF speed and even tougher than the F4, it also had improved weather resistance, although not without cost, the finder was now fixed and there was no choice of battery pack resulting in a heavy camera that could not be made smaller and lighter when a high frame rate was not required. Lens compatibility with older Nikkor lenses was reduced leaving the Nikon F4 favoured by many photographers to this day over the Nikon F5. 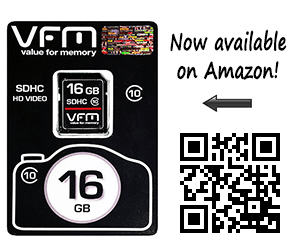 When the camera went out of production in 2005 there was no real need for a replacement, the digital age had truly arrived. Nikon however had already committed to making one more "last-word" 35mm SLR camera, the Nikon F6, but for a somewhat different user group. When the Nikon F6 was released in 2004 it was not really aimed at professional photographers as they had mainly switched to digital, but more towards the wealthy amateur photographer who was a film die hard. Nikon lightened the camera and reduced its size but made it fully compatible with the latest VR lenses and applied all the advances they had made with auto focusing, exposure metering and program modes that were being incorporated in their latest generation of professional digital cameras. The result of Nikons efforts have to be experienced to be fully appreciated, the F6 is truly a dream to own, hold and use. If you love the magic of film photography you can not help but love this camera. 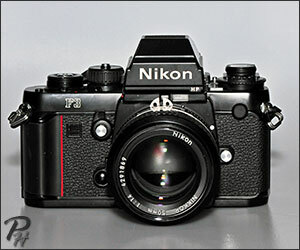 With the F6 Nikon arguably produced the last word in 35mm SLR film cameras! The Nikon D1 of 1999 used the F5's AF system and ergonomics, it was Nikon's first professional digital SLR camera, although it did not immediately make 35mm professional film cameras obsolete, the writing was clearly "on the wall". In 2001 added two new variants to it's D1 range, the D1h which was even faster than the D1 at five frames per second and addressed minor points with layout and firmware, and the D1x which was slower at three frames per second, less sensitive in low light but increased the resolution too a relatively massive 5.47megapixels. 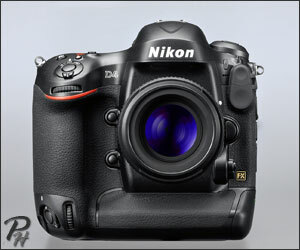 The Nikon D1x remained on sale until mid 2004. It is of note that the D1's sensor actually had 10.8 million photo-sensors grouped down for unprecedented signal to noise ratios, this was not made public at the time for commercial reasons. 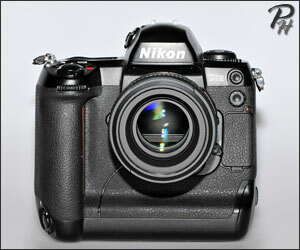 The D2H was released in July 2003 as a successor the Nikon D1H, it had improvements across the board and used a low noise Nikon designed 4.1 megapixel JFET-LBCAST sensor, it also incorporated an ambient light colour meter sensor in it's pentaprism housing giving a very distinctive look to the camera. 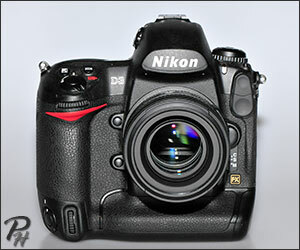 The replacement for the Nikon D1x, the D2x, did not arrive until late 2004 and used a Sony 12.4 megapixel CMOS sensor. 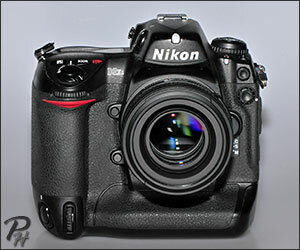 The D2H was replaced in early 2006 with the slightly improved Nikon D2Hs which still retained the 4.1 megapixel JFET-LBCAST sensor. In mid 2006 the Nikon D2X was replaced with the Nikon D2Xs which retained the Sony 12.4 megapixel CMOS sensor of the D2X, the improvments were primarily firmware. The D3 was introduced in August 2007 and notably lost the Nikon D2's ambient light colour meter whilst gaining a full frame sensor. 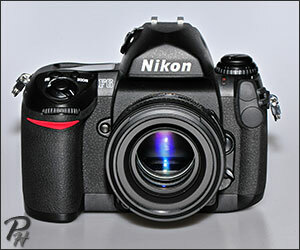 The Nikon D3 incorporated a 12.1 megapixel Sony CMOS sensor but was even faster than the D2Hs. As expected the camera was superior to it's predecessor in all areas, it notably incorporated Nikon's ADL system which addressed the digital cameras low contrast range, effectively approaching that of film. December 2008 saw the release of the 24.5 megapixel Nikon D3X which sacrificed the speed of the Nikon D3 in favour of far more resolution at lower ISO speeds. October 2009 saw the introduction of the Nikon D3s which gained the ability to film HD video even in low level illumination, and many other significant technical advances. The Nikon D4 improves performance in nearly all areas over the D3, however when the 10fps 16.2 megapixel Nikon D4 was announced in January 2012 it had less impact with professional photographers than the Nikon D3 had when first announced, some referring to it as the "D3 1/2". The expectation had been for a resolution at long last approaching that required by medium format professional camera users, this situation was not helped the next month when the Nikon D800 semi-pro camera was released boasting an impressive 36.3 megapixel full frame sensor many had expected to see on the Nikon D4. It would seem lightly that Nikon will introduce another version of the D4 to replace the D3x with a similar sensor resolution to the D800. © June 2014 Siteseen Ltd.